What follows is a period of silence from you, the audience member, which is more all-encompassing than that found in the most sacrosanct spaces - as if any innocuous sound would drown out the rather large and exceptional sound coming from the stage. In fact, any form of enjoyment is strictly forbidden, except that which exists between your ears. Please refrain and stifle any outburst - physical or audible - that may overcome you; it’s disrespectful to show your appreciation in this way. Clap when told - but definitely not before. Clap enthusiastically, but again, not too vociferously. Even if you didn’t enjoy the performance, you need to join in (who knows when you’ll be able to make noise again, so make the most of it). God forbid you from uttering any other noise except ‘Bravo’ - don’t even think of the petty and common ‘woo’. When the concert finishes, clap even longer. Three curtain-calls equals encore. Sometimes if you’re lucky, the performer will start going through their secondary programme without even being asked for it. Actually, going back to a previous thought, why are we even saying ‘Bravo’? The etymology of the word suggests it could mean anything from ‘brave’ to ‘hired, untamed mercenary’. Weird. Shuffle out whilst congratulating yourself on the musical meditation/medication you’ve just received; follow the crowd, maybe grab a drink on the way home, and it’s bed before 11:30pm. Sounds like a good fun evening, no? Why is traditional concert etiquette so damned restrictive? Current audiences would suggest that it is in order to appreciate the music fully - to hear every nuance, absorb the content almost subconsciously as it envelopes your entire, meditative body. And fair point, this is an extremely valid reason - both as a performer and audience member, I have experienced a perfect moment of contemplation interrupted by the shuffling of an uncomfortable listener or the rustle of programme notes. The paying public demand complete attention and silence, and this is very reasonable - in this particular setting. Certainly it wasn’t the case in the early days of classical music; aside from church services, music by Bach, Mozart, Haydn, Beethoven - really, anyone up until Liszt invented the proto-recital - was generally composed as light entertainment for the enjoyment of the über rich. There is a great scene in The Count of Monte Cristo where the Count actually enjoys a meal, hatches a plan, and eventually gets challenged to a duel - all during the performance of an Opera. And this was normal behaviour! 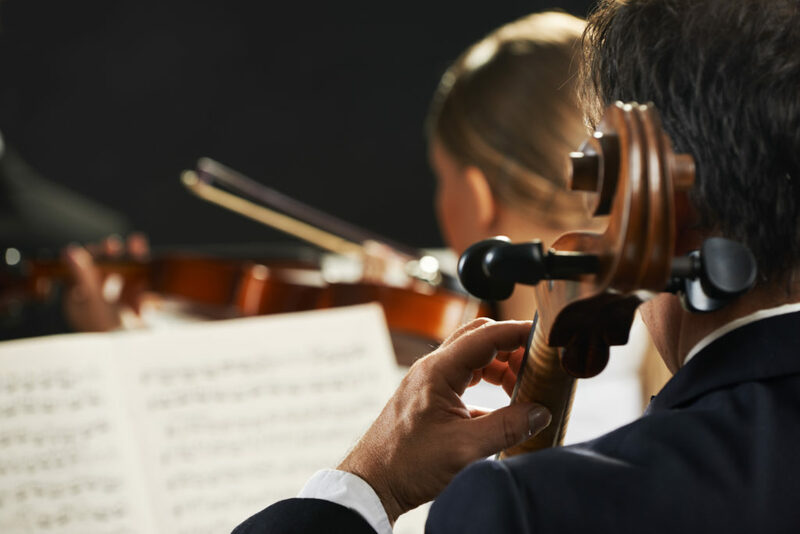 People would routinely clap between symphony or sonata movements - historically, clapping after the first movement signaled that the audience wanted to hear the rest, hence the huge endings of most first movements. Bach’s dance suites were… gasp, for actual dancing. So, quiet contemplation of the music is a relatively new beast that developed in the early 20th Century, and performances have more and more begun to resemble a series of nightly funeral processions, sans the programming of a good Requiem. And this is fantastic, because that’s exactly what a lot of (but not all) great classical music requires to engage with fully. Though, it’s hardly the most welcoming symposium for a new listener to enter. For an industry that constantly paces back and forth saying ‘we need new listeners!’, we’re awfully quick to limit how these new listeners will engage with us. No one is suggesting we go back to the classical era and start vocalising our displeasure with performers (tempting as it may be), but there are plenty of options out there which would allow the musicians to reach this crowd of patrons. They’re young, interested, and eager to experience something new - but not so eager to receive a forceful silent lecture from the glare of a particularly irritable octogenarian. Konzerthaus Berlin does a concert where all music is performed twice in order to fully absorb it; Cafe Oto in Dalston, London, combines bar space and contemporary classical venue (and somehow doesn’t go broke); and the Royal Opera House does free screenings in public spaces such as Trafalgar Square - wine, cheese, and smoking allowed throughout. There are countless other initiatives out there, but they’re still the outliers. These concerts aren’t trying to pander to a seemingly lower level of consciousness, or patronising newcomers with easy-listening programmes, and nor should they. It isn’t about ‘dumbing down’ the product in order to trick new listeners into enjoying it, it isn’t about bastardising the music to make it more accessible, and it sure as hell shouldn’t be about programming pop music with an orchestra and trying to pass it off as classical - that’s insulting to both genres. It’s about creating a welcoming atmosphere - and we, the audience and performers, are responsible for creating an atmosphere that allows us to share one of the greatest experiences we are lucky enough to already be acquainted with.